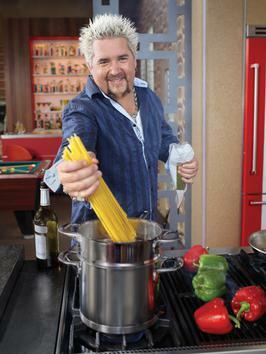 Today is a bad day to be Guy Fieri. As a well-known chef, Food Network darling and restaurateur, Guy has spent the last few years in the spotlight filming cooking segments, judging competitions and traveling around in a sweet ’67 Camaro to visit greasy spoons across the United States on his popular show, “Diners, Drive-ins and Dives” (or “Triple D,” if you speak Guy-speak). Yep, this bleach-blonde California chef with a penchant for wearing sunglasses on the back of his head has been leading a pretty sweet life till today, when the spotlight turned to white-hot criticism courtesy of NY Times restaurant reviewer, Pete Wells. As much as I try to prepare meals for my family that are tasty, healthy and at the very least, edible, I always seem to fall just short of awesome. My husband doesn’t cook and this is all my children have ever known so although I rarely hear complaints I know I could do better. After getting over the first hurdle which was, “Do I own a roasting pan and if so where would it be?” It turns out I do and it’s been in a box on the shelf in the basement above the cat box for 10 years. After I gave it a thorough washing (Had to throw that in for my mother. Hi Mom) I followed the steps to assemble the meatloaf, PRECISELY as they were listed. 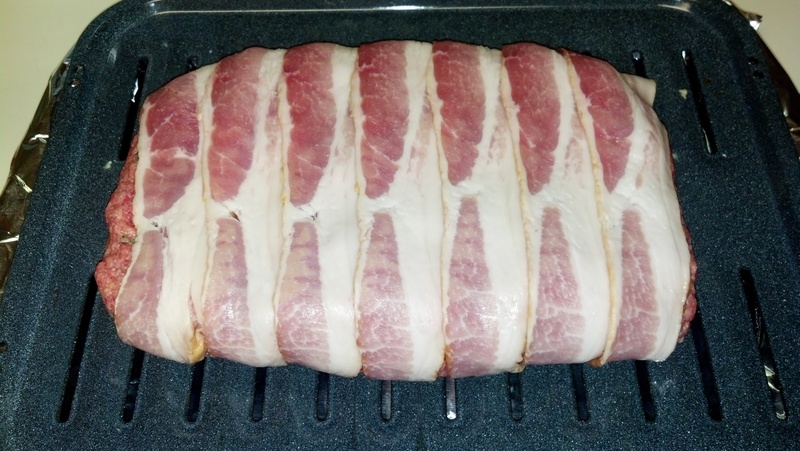 Here’s a picture I snapped after the bacon was layered and it was ready to go in the oven. Look at that pork-covered beauty. I cooked it as long as the Pioneer Woman said to cook it and then I cooked it some more and then I even had my husband check it with his schmancy electric meat-probe-thingy. It was done. It looked gorgeous. I prepared the rest of the side dishes while the children danced with glee in anticipation of the meaty goodness they would soon be consuming. Then, I cut the first slice. “You may live on the prairie, Ms. Stone but you’re no Pioneer Woman.” Gah. He’s so mean. Clearly, Guy Fieri has a modicum of cooking talent or he wouldn’t have won the first Food Network Star contest so shame on him for not overseeing a product that bears his name. Perhaps this bad review will make him slow down and realize he has too many irons in the fire and not enough time in his own kitchen. As for me, I’ll keep bumbling around my own kitchen trying not to inadvertently poison my family with under-cooked pork products and tipping the Pizza Hut delivery guy very well. As a loving mother, it’s the least I can do. 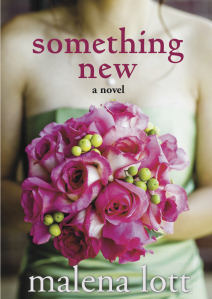 COMING UP TOMORROW: I’m happy to have author Malena Lott stop by as a guest author to talk about her new novel, SOMETHING NEW, a modern take on the Prince and the Pauper. It’s her most romantic book to date and I’m excited for you to learn more about it. 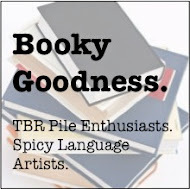 You’ll also have your chance at a sweet book giveaway as Malena has generously offered to give away an ebook to one lucky person who comments on the post or shares it on their social media channels. Giveaway titles include: Something New, The Stork Reality, Life’s A Beach, Fixer Upper or The Last Resort. Categories: Blog, Uncategorized | Tags: guy fieri, guys american kitchen and bar restaurant, Malena Lott, new york times, pete wells, pioneer woman, pizza hut, something new | Permalink. Great piece Dani! Best swirly hands in the business. And I try your meatloaf anytime, I have faith in you! Loved this post Dani! And I agree with Mark, I loved the swirly hand line! Holy Cow – was that really our meatloaf? That’s AMAZEBALLS!